Brooms Up will have their mobile shop on site! 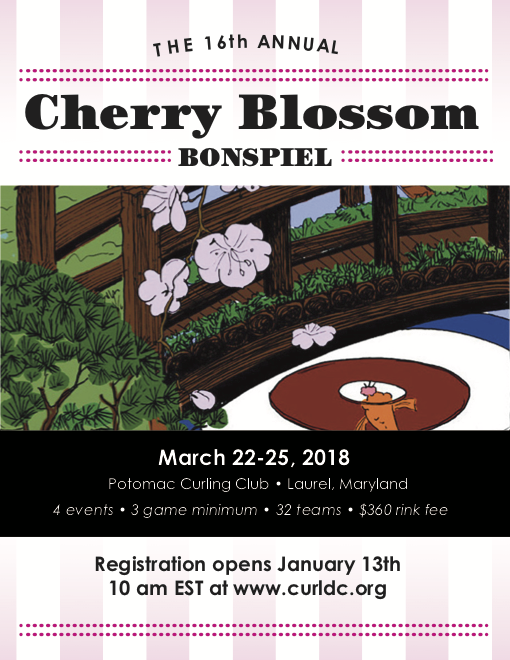 Registration for Cherry Blossom will be first come first serve. If more than 6 Potomac Teams* register as the first 32 teams registered, then all Potomac Teams registered in the first 32 teams will be placed in a lottery to determine which six teams are participating.